KazBuild Almaty 2017 was held from 5th of September to 8 September in Atakent, Almaty, Kazakhstan. This 4th-day event, an international construction trade fair with 4 exhibition areas: Construction, Interiors, Windows, Doors and Facades as well as Ceramics and Stone. 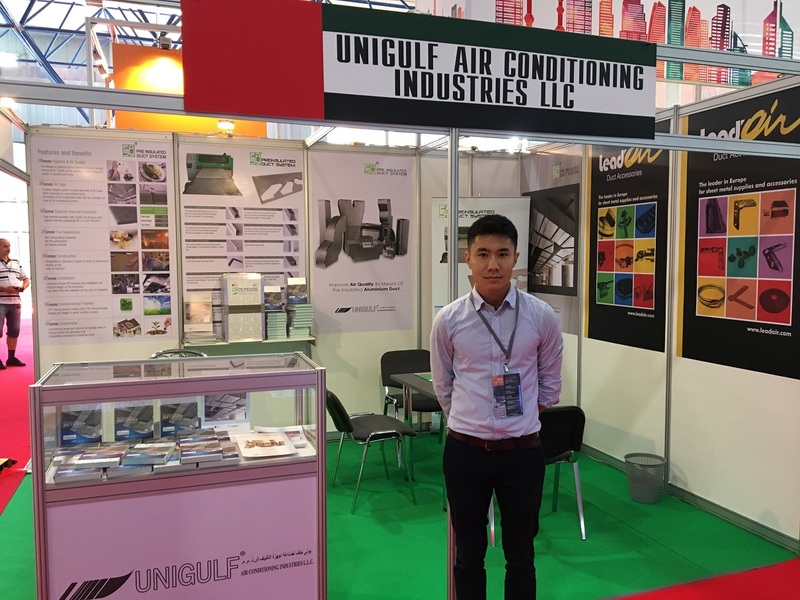 Unigulf Group team is delighted to share the experience of our participation at the Kazakhstan exhibition. Our team was happy to interact with people who visited our booth at the exhibition. Products exhibited were Easy Pre-insulated duct systems and Lead Air ducting accessories.